It’s been almost nine months since my last trip to New York, but I’ll be back again in just over three weeks. 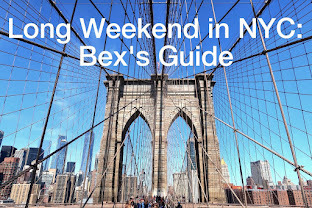 I’ve been going through my New York Moleskine City Guide, updating it with a few new places to try, but as it’s been a while since I’ve rounded up some of my New York favourites, I thought I’d put together a few best-of posts. 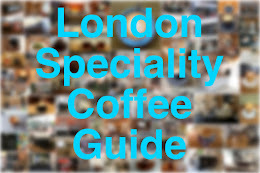 I'm sticking to the essentials: today, I’ve picked my top ten places to get a double skinny macchiato; next week, I’ll highlight my top ten burgers; and finally, I’ll list my top ten cocktail bars. When I’ve finished, I’ll put together a Google Map of the whole shebang. So, without further ado, here are my top ten independent espresso bars in NYC; where there are multiple branches, I’ve listed my favourite. Bluebird (East Village). A gorgeous place to sip a very good macchiato, especially on a sunny weekend morning. 72 East 1st Street @ 1st Ave. Mini-review. Website. Twitter. La Colombe Torrefaction (NoHo). Great coffee served in beautiful cups. This is usually where I come to buy beans to take home. 270 Lafayette Street @ Prince. Mini-review. Website. Twitter. Ground Support (SoHo). In the summer, you can take your expertly made coffee into the sun-filled courtyard, but it’s just as good perching at one of the long, wooden tables indoors. 399 West Broadway @ Spring. My last visit. Website. Twitter. Everyman Espresso (East Village). Sometimes I don’t feel hip enough to drink my macchiato here, but there’s a cool artsy vibe (courtesy of the adjacent theatre) and the coffee is excellent. 136 East 13th Street bet. 3rd & 4th Ave. Mini-review. Website. Twitter. Cafe Grumpy (Chelsea). They wouldn’t serve me an espresso to go, but that’s only because they know their stuff. Besides, when an espresso is this rich and chocolatey, it needs to be savoured, not gulped on the go. 224 West 20th Street @ 7th Ave. Website. Twitter. Joe (West Village). This was the first proper cool indie espresso bar I discovered in NYC, some six years ago and I’ve been back many times since then. They have a bunch of locations now, but the Waverly Place branch is great for people-watching. 141 Waverly Place @ Gay. Mini-reviews here and here. Website. Twitter. Think Coffee (NoHo). Great coffee — they even offer triple shots — and a nice selection of bagels and other light bites. This branch is a little studenty, but handy after a busy afternoon of shopping in SoHo. 248 Mercer Street bet. 3rd & 4th St. Mini-review. Website. Twitter. Birch Coffee (Flatiron). 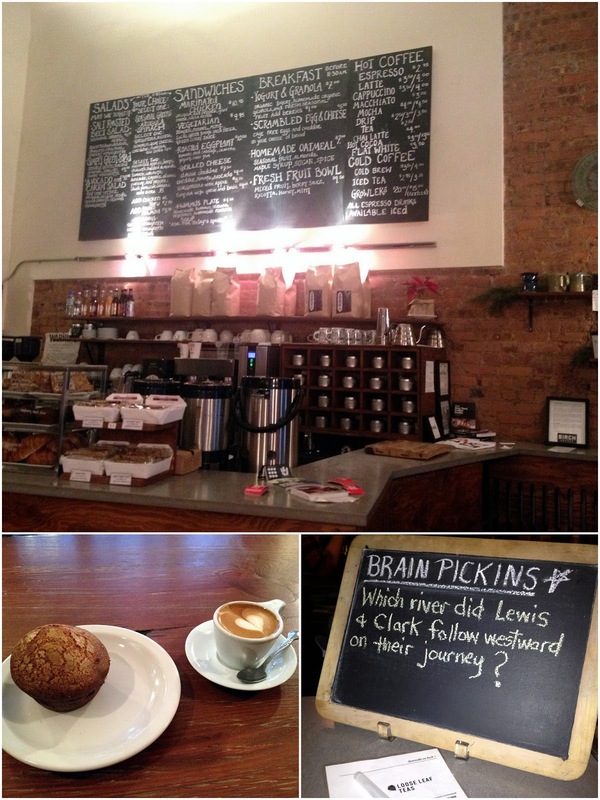 Good coffee, a tempting food menu and trivia questions at the bar. What more could a girl want? 5 East 27th Street bet. 5th & 6th Ave. Review. Website. Twitter. Bowery Coffee (NoLIta). A recent discovery. 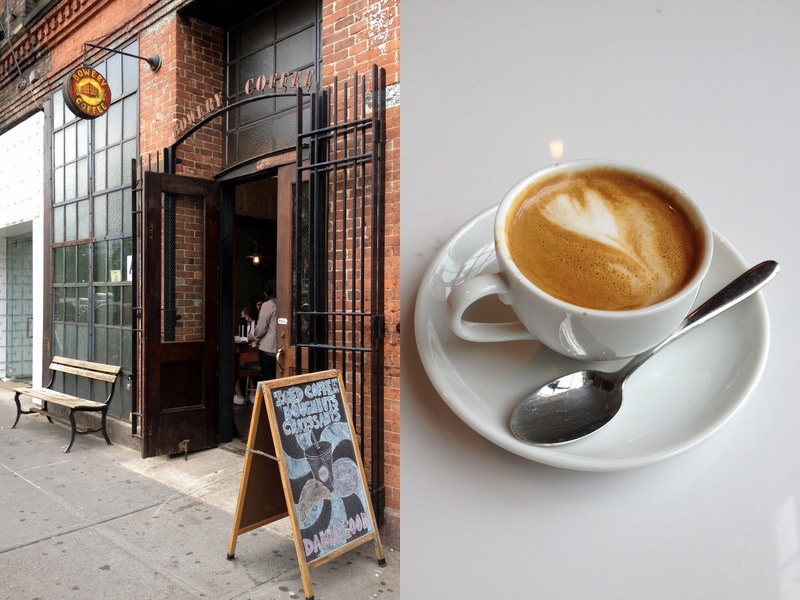 An industrial-chic espresso bar housed in a 100-year-old building on Houston Street. The double macchiato is a little too milky for me, but the coffee tastes great. 89 East Houston Street @ Bowery. Review. Website. Twitter. Jack’s Stir Brew (West Village). The first place I found in New York that serves great coffee — almost a decade ago. Go for the stir-brew coffee, though, not a macchiato; there are better places for the latter. Oh, and say hi to Jack if he's there, and not on stage somewhere. 138 West 10th Street bet. Greenwich Ave. & Waverly Pl. Mini-reviews here, here and here. Website. Twitter. My first visit to Jack's Stir Brew, December 2003. Blue Bottle Coffee. 1 Rockefeller Plaza nr 49th St. Tucked in the bowels of the Rockefeller Center, the macchiato here is really good, although as it's a located in a major transport hub, you probably won't want to hang out for long. Website. Twitter. Tisserie. 870 7th Avenue bet. 55th & 56th St. I wouldn't rush out of my way to get coffee here (although they do use Stumptown coffee), but as it was just opposite my hotel on my last trip, it came in pretty handy when I needed a caffeine top-up. They also do great pastries. Mini-review. Website. Twitter. Zibetto. 1385 6th Avenue @ 56th St. A tiny sliver of an espresso bar. Just enough room to grab your macchiato and a pastry. 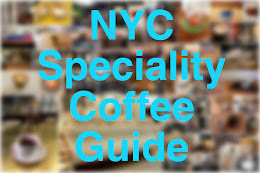 The coffee is fine — better than most of the Midtown offerings, for sure. Website. Great recommendations. I would suggest anyone looking for some great ideas on eating and places of that nature to take a look at Monica DiNatale's 365 Guide New York City, 365guidenyc.com. 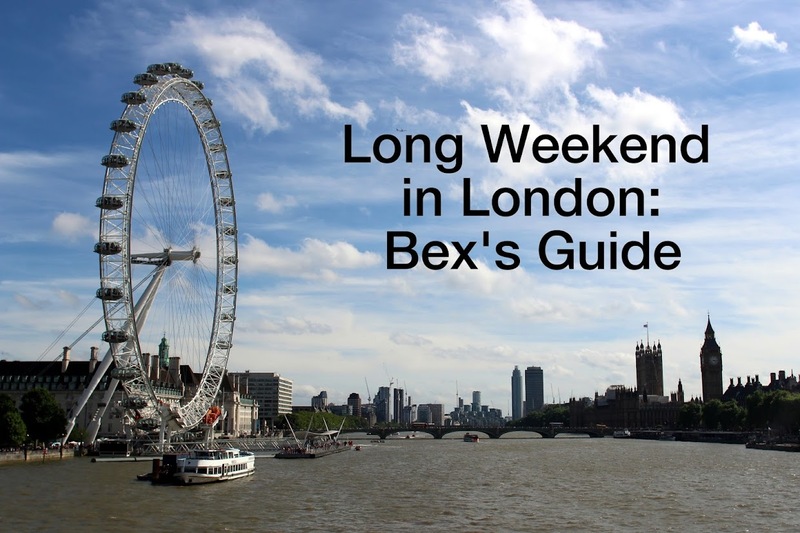 She has compiled a great book of listings of places all through the City. It's a great resource, I go there a lot and it's good to have a way to maybe find some places I haven't been to yet! Looks like a great place! Definitely going to my to visit list for 2014. Thanks for the heads up!